Did you know that Google scans the web every day and is the leading authority on basically everything? Put Google to work for you (for free) by having them scan the web to find any new listings or auctions in your area. They’ll even deliver the results straight to your inbox, automatically. You’ll never miss another listing. All you have to do is go to google.com/alerts and choose some search terms for Google to scan the web for. Basically anything new that is posted to the web will be collected and delivered to your email inbox on a schedule that you can choose (e.g. daily, weekly, etc). For example, you might set up an alert for “house auctions in [your town]” and have it delivered every Friday night. . . . or you could set one for “distressed property” and receive that email each morning. 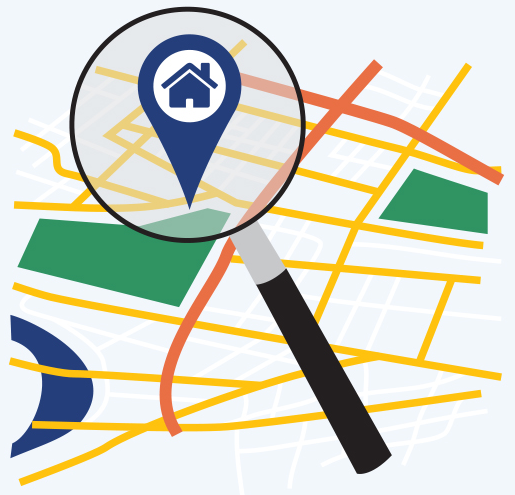 This will significantly cut down on your search efforts and help you be the first in line when a new property is listed! You know who is most willing to negotiate on asking price? Sellers who just want the home-selling process to be over. The easiest way to find sellers who are tired and just want to be done is to look for the longest running listing in your area. Most real estate listing sites (realtor.com, trulia.com) include a “DOM” (days on market) count, so you can see how long the seller has been waiting to unload the property. They rarely allow you to sort by this number, but you can get around this by sorting for newest listing and then heading to the end of the list. You should notice the “DOM” going up. Usually you’ll see exactly why the house has failed to sell in the listing. Maybe it’s an awkward bathroom or hideous, dated wallpaper. You can take advantage of the feature that scares other people away to get a great deal for yourself. Selling a deceased, older person’s home that may be suffering from years of deferred maintenance can be a difficult process, especially if next-of-kin are from out of town. If you have the people skills and treat the situation delicately, you can often help the mourning family members by taking care of the sale for them. Scan the obituaries to find the addresses of the recently deceased. You can discretely do a drive by of the property to see the neighborhood and the condition of the house. If you think it might make for a profitable flip consider approaching the family about purchasing the home. Flexible closing times, cash offers, and “as-is” conditions make it very attractive for the executor of the estate to sign a contract with you. Please remember that this is a difficult time for everyone and be respectful of grieving family and friends. Ideally, you may be able to use your local network to pass along your contact information to the family, if they should choose to sell to you. Bonus points here if you have your real estate license or have a real estate agent on your team. Real estate listing sites typically let you search and sort by price, location, school, number of bedrooms, and all other kinds of features. But don’t forget about the “search description” option. Look for a search box that will let you enter your own search terms. The site will then look through not only the overview of the listing, but also in the real estate agent’s write up. Here are some of the best terms to use in your search for properties to flip: need to sell, make an offer, TLC, transfer, needs work. I bet you have friends who are flippers, contractors, or just local know-it-alls. These people are all great resources when it comes to finding a great deal. Other local house flippers, even if they are competitors or “frenemies,” might be overwhelmed with a current job, out of funds, or taking a break. If can’t hurt to reach out and see if they have any deals they had to pass on that might be great for you. Obviously, offer to do the same for them in the future. Maybe they even have a big job neither of you could handle alone but can team up on to make a huge profit. Can’t hurt to ask! Don’t forget to ask your contractor about locals deals, too. They most likely know the market and which areas and houses need the most work–that’s their customer too! They’ll be especially likely to help you find a property if you agree to hire them for the work if the deal goes through. Lastly, keep in touch with your family and friends and make sure they know to keep their eyes open for properties you can rehab and flip. Having a bigger network like this can be like having a free search committee at your disposal. Be vocal about your search at picnics, church events, and your kid’s sports games and make sure people know how to get in touch with you. I have been around this business for 30 years and I have always needed and looked for investors. Do you do any lending in Florida? Thanks for the nice words. We sure do lend in sunny Florida. If you’re interested give us a call @ 877-643-9066 (ask for Susan). We’d be glad to chat. This is a very informative article, especially for someone like me who is very, very new to this business. I live in Memphis, Tennessee, and I am wondering if your organization operates in this market. Once again, thanks for taking the time off to share your knowledge. God bless. Direct mail is a way to cast your net to a large but targeted market. An additional target to consider is the demographics of people who are ready to downsize. This starts with Seniors who have owned their home for 20 or more years.